Many people consider Google Ad's as one of the most effective forms of marketing on the planet. Google Ad's (formally known as Google AdWord's) allow businesses to pay to get their website at the top of the search results for their chosen search phrases. For example, a Law firm operating in Newcastle can pay to get their website to show whenever someone searches ‘Lawyers in Newcastle’. Best of all, Google AdWords works on a pay-per-click basis. This means you only pay if someone clicks to visit your website. It is for this reason that many people consider Google Ad's to be one of the most effective forms of marketing on the planet. it's important to get an experienced professional to handle your campaign. We use advanced targeting to get your ads in front of potential customers that are using Google to find businesses like yours. With Google Search Ad's you only pay if someone clicks on your ad. This makes it an extremely cost effective form of advertising. We keep track of what's working and what's not. This way we can work together to get the most out of your campaign. We work with companies of all sizes and budgets. 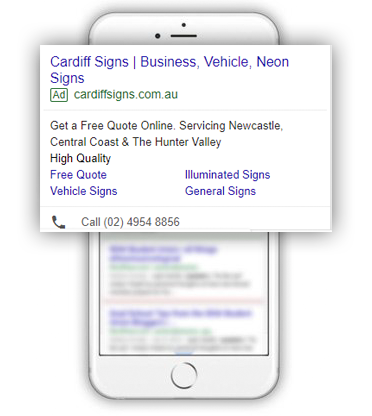 From small businesses to large companies, we can help with your Google Ads campaign. 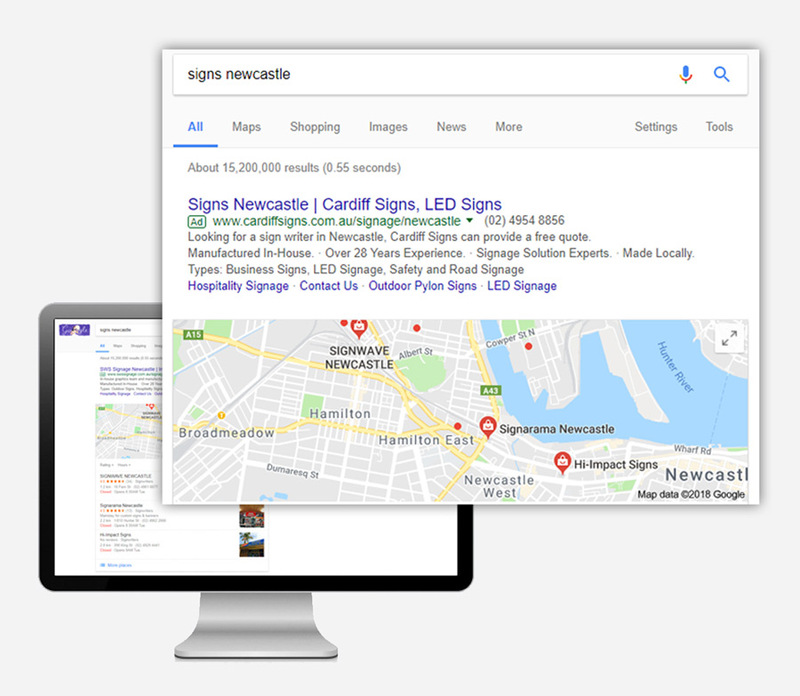 We can help get your business found by people using Google to find the products and services your business sells. The first step is to set up the campaign to target your customers based on their location and what they are searching. Google Ads need constant attention. Once your Ads are running we will take care of the day-to-day management. We then optimise your campaign by removing under performing ads and creating new ones.